One of my favourite parts about being a full-time crafter is the sheer number of creative ideas that I come across. There is an almost infinite variety of ways in which fabric and thread can be used to produce useful and decorative objects. 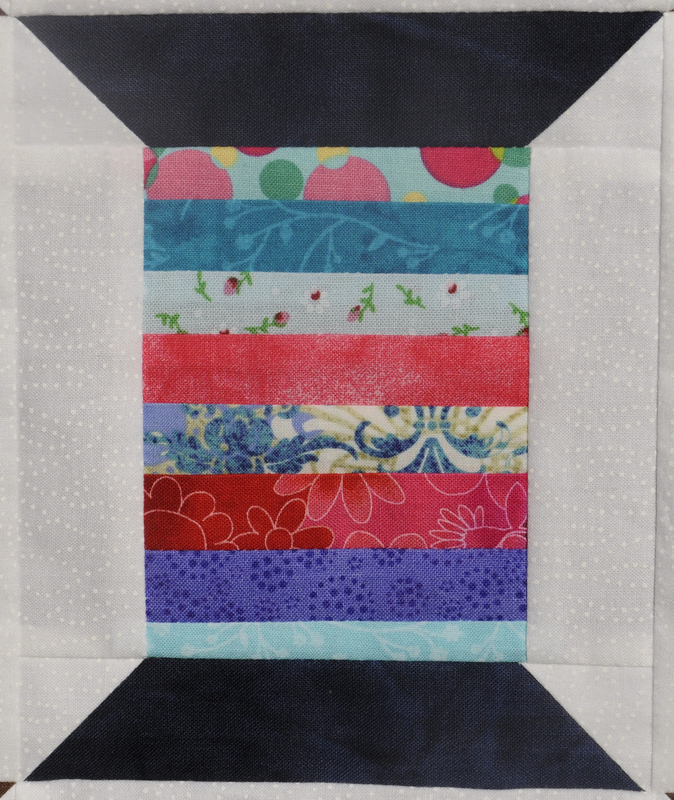 Last year I stumbled across the idea of using fabric selvage strips. The selvage (also spelt as “selvedge” – don’t you love the English language) is the woven edge of the fabric which often has the fabric name, designer and colour grid printed on it. This part of the fabric is not used in a typical quilt because after washing the tight weave of the selvedge is likely to shrink differently to the main body of the fabric. So, most of us just trim them off and throw them away. However, selvage strips have a beauty all their own. Someone at some point saw their potential and started sewing unique projects with them. My favourite example is this gorgeous dress by Jodie Carleton from Victoria. 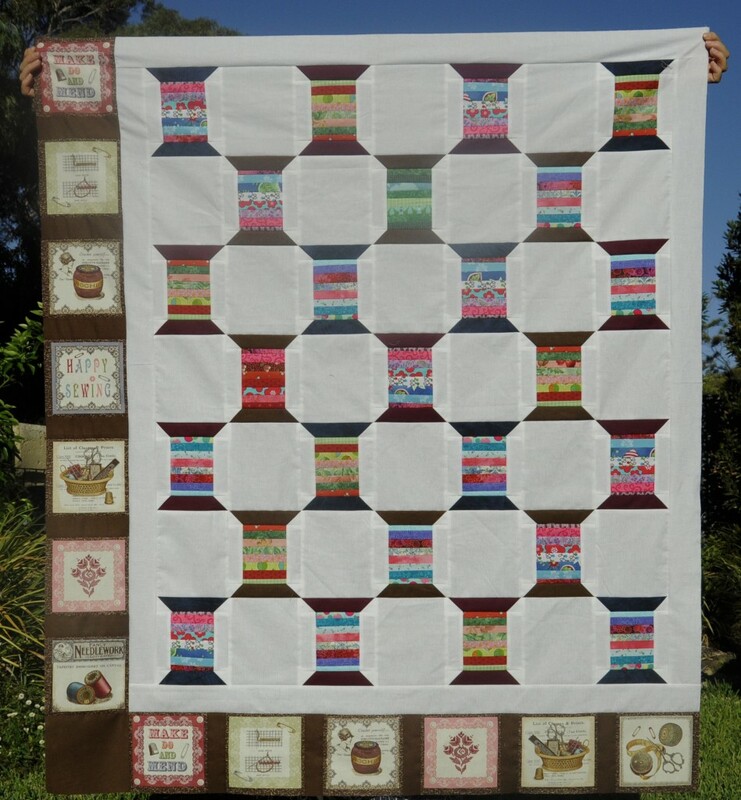 You can find a lot more like this on my Pinterest board, Simply Selvages. I love the idea that a part of the fabric which was usually discarded could be transformed into something unique, beautiful and yet immediately recognisable. Every quilter knows what fabric selvages look like, but many of us have never have thought to use them. And so I was inspired. 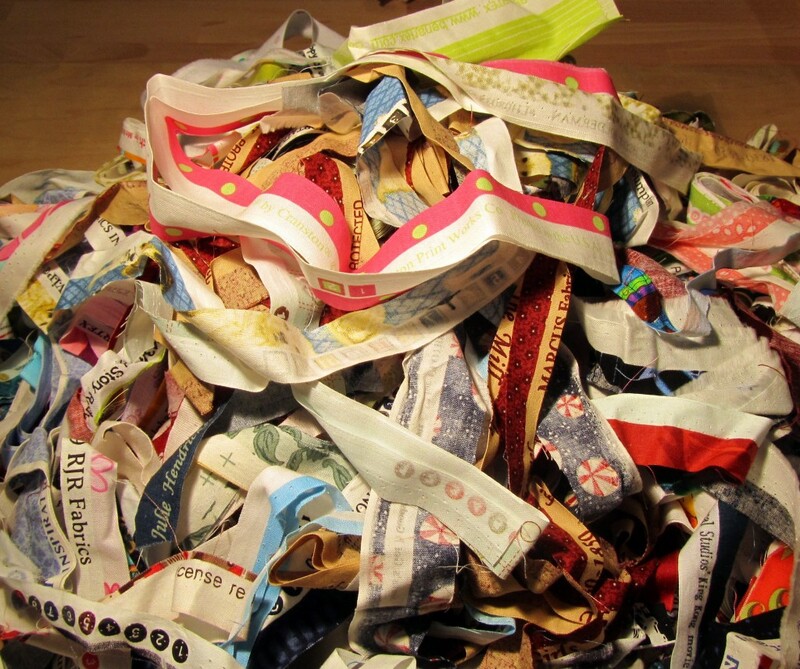 I haven’t tackled any large projects yet – just simple, fun and easy ideas. But that is the great thing about selvages – they make an otherwise simple project just a little bit quirky and interesting. 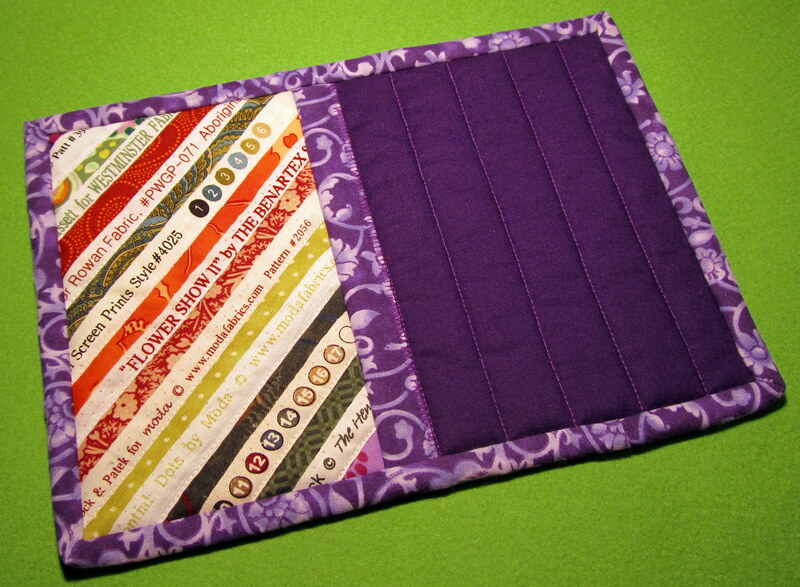 A purple mug rug made using a simple quilt-as-you-go technique. The selvage strips for this pencil case were deliberately chosen to reflect the colours you might find in a typical packet of coloured pencils. The colour circles printed on the selvages are just perfect for the job and one of the strips features the words “A Fun Day In The Jungle”, which seems appropriate for a cheerful, hardworking pencil case! 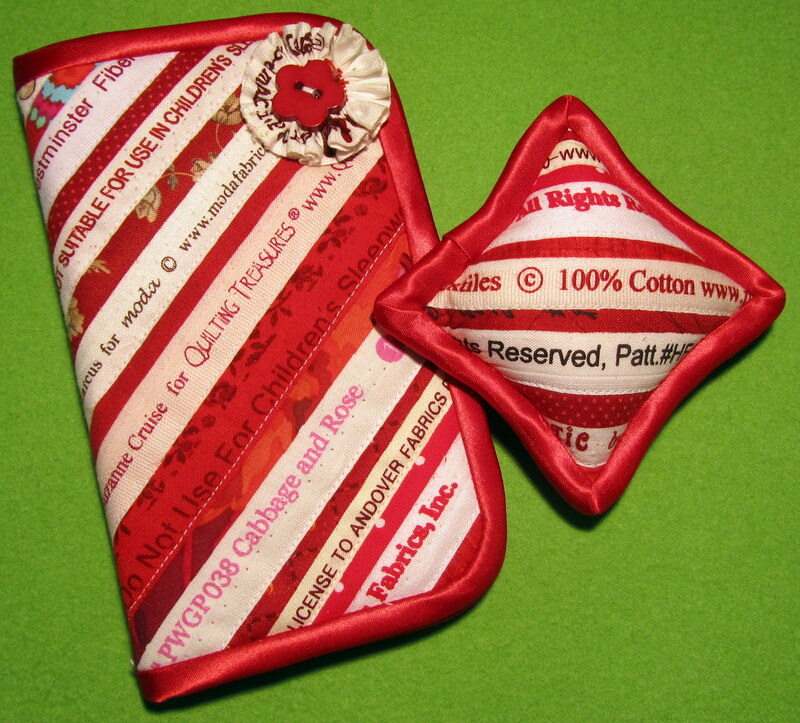 Finally, I made this sewing set for a dear quilting friend who loves all things red. Again, some of the words are particularly apt. “Quilting Treasures” because she is indeed a treasure herself; “Collections for a Cause” because charity quilts are an important part of the time we spend sewing together; and a little piece of Kaffe Fassett selvage because she simply adores his quilts and use of colour. And a gathered selvage strip attached to a button makes a pretty embellishment. So you see there is such a lot you can do with that seemingly useless strip along the edge of your fabric. And it is so easy! How could I have been throwing them away all these years? A word of warning though…. I let all my quilting friends know that I was collecting selvages for future projects and pretty soon I had an overflowing boxful of them!